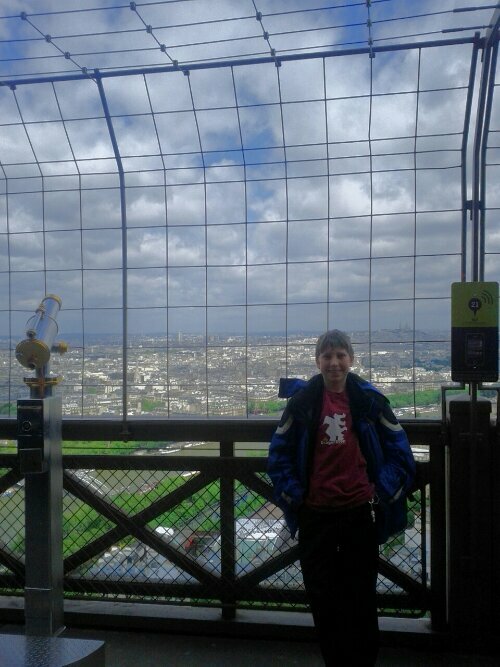 Here’s my boy Felix up the Eiffel Tower. Cracking view! He’s just come back from his first overseas solo (without us) adventure on a school trip. He arrived home around 11pm last night and he doesn’t speak fluent French as a result. Tempted to ask the school for our money back. (JOKE!) He had a fantastic time – He saw the Mona Lisa and Disney Land. That was the best bit apparently. Cracking photo to join the hallowed walls of the DragonDrop Adventure Club. Nice one Felix!